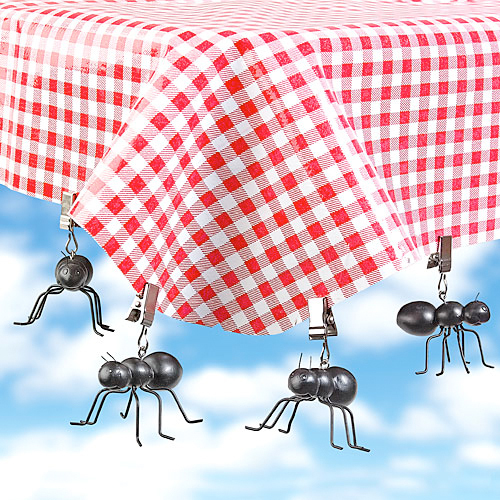 Gigantic Flying Ants Make Away With Picnic! Well… they look like flying ants to me. But (hopefully) they are just the Ant Tablecloth Weights they claim to be. Table cloth weights will let you reign over your domain while providing a festive touch to your outdoor dining experience. Simply clip to your table cloth to insure place settings stay put if a sudden gust of wind joins you for dinner. Resin, metal, 1 x 1/2 x 1/2″.